The Travel Corporation (TTC) and its family of 29 award-winning brands reveals their annual #TTCTop10 bucket list of travel experiences for 2019, highlighting its outstanding portfolio of travel brands and unforgettable experiences. The family-owned organization, now in its fourth-generation offers something for everyone, with over 1,000 trips to 70 countries across seven continents. This year’s carefully curated list considers the 2019 emerging travel trends focused on what travellers are seeking out most: transformational journeys, culturally immersive experiences and socially conscious travel. Adventurers will discover the stunning destination of the Maasai Mara and Serengeti for a memorable 14-day safari adventure that will take them to a diversity of landscapes where thousands of wildebeest make their annual pilgrimage. Guests will explore the vast wilderness of Kenya and Tanzania, navigate lakes in search of resting hippos and sample the spicy flavours of Swahili cuisine. Millennials and Generation Z travellers will explore Contiki’s newest hot spot, Sri Lanka from ancient temples to tea fields. This 10-day adventure will enable them to traverse this island nation, from scintillating beaches to national parks to the world renown tea regions. During their journey at Udawalawe National Park, they will enjoy a “Special Stay” safari riverside glamping and a visit to an elephant transit home where orphaned baby elephants are cared for before being released back into the wild. History lovers will journey back in time and discover the iconic spiritual sites and hidden gems across Israel and Jordan on this 14-day premium escorted journey. In Israel, guests will explore the ancient cities of Nazareth, Galilee and Jerusalem and the famous saline waters of the Dead Sea. Onwards to Jordan, travellers will visit the famous archeological site of Petra and dine under the stars in Wadi Rum at a Bedouin camp site. They will also enjoy meeting local artisans at the Iraq Al-Amir Women’s Cooperative which is managed and run by local women, providing training projects. This cooperative is a “People Project” supported by the TreadRight Foundation to help build-out their gift shop and expand their food offerings. 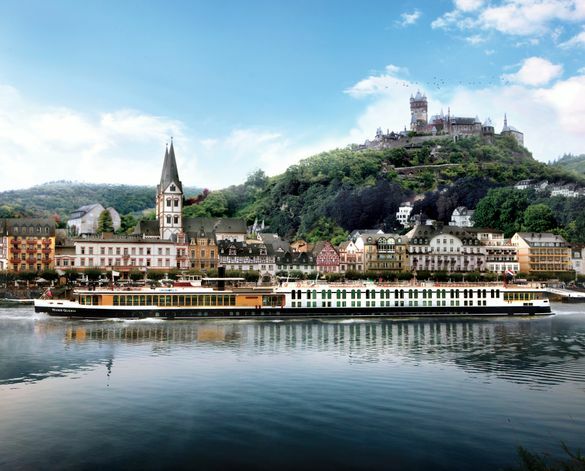 Travellers will embark on a 10-day luxury river cruise from Cologne to Frankfurt on the award-winning River Queen with its elegant Art Deco interior design as they cruise along some of Europe’s most picturesque village-dotted landscapes. They will savour the finest regional cuisine incorporating the freshest and locally sourced ingredients while sampling local wines expertly curated by Uniworld’s team of Sommeliers. Guests can join a “Let’s Go” experience in Mainhattan by bike, enjoy a Rheingau Riesling wine tasting in Rüdesheim or a culinary “sip and savour” excursion in Germany’s oldest town of Trier. This exciting 14-day adventure highlights Vietnam’s vibrant culture and stunning landscapes and Cambodia’s ancient temples of Angkor Wat and Angkor Thom with compelling insights into Khmer history. Travellers will embark on cruise in Halong Bay including a cooking demonstration on board and meet the locals at a Vung Vieng fishing village. In Nah Trang’s Mun island, they will enjoy snorkeling in the azure waters to view coral reefs and swim with sea turtles. Archeology lovers will be will be enthralled by the spectacular sites encountered on this 7-day luxury escorted journey. They will begin their adventure with sightseeing in Cairo accompanied by their Travelling Concierge as well as an Egyptologist and later explore the Great Pyramids and the mysterious Sphinx of Giza. The journey continues with a luxurious 7-day river cruise on the intimate all-suite River Tosca with stylishly adorned rooms. Guests will enjoy Exceptional Dining Experiences including an onboard welcome reception and gala dinner with exquisite regionally inspired cuisine. They will also follow in the footsteps of Agatha Christie and Winston Churchill by indulging in a colonial English-style high tea at Aswan’s Old Cataract Hotel’s terraces. U is a new take on experiential travel, with cruises designed for travellers with a wanderlust for exploring and a yearning for exhilarating adventures which are tailored to their interests. This authentic 8-day journey begins in effortlessly cool Frankfurt with a night walk with their U hosts, including stops to Würzburg and Bamberg. Guests can join a Bavarian bike trip along Miltenberg’s lakes and nature reserves or a castle hike. Or they can join a Nuremberg culinary tour including a cooking school experience where they will learn to make Bratwurst. Adventure seekers will embark on an epic 14-day adventure where they will be fully immersed in the colourful subcultures across the States as they drive along the famous Route 66 with stops to Los Angeles, Las Vegas, Monument Valley and Austin. From the breathtaking Grand Canyon to the magical beauty of Sante Fe to the exuberant jazz, and rhythm and blues joints of New Orleans, this memorable road trip showcases the best of America. Nature lovers will enjoy exploring the Blue Mountains, a sunset toast at iconic Uluru, the mystical domes of Kata Tjuta and snorkelling on the Great Barrier Reef. This 13-day journey will delight guests’ senses as they hike to the top of Kings Canyon, sail a yacht on Sydney Harbour and enjoy an Indigenous experience in the Daintree Rainforest. For more information please visit www.ttc.com/top10 and follow us on Twitter at: @travelttc with our hashtag: #TTCTOP10 and share your 2019 travel lists with us. The Travel Corporation (TTC) is a highly successful, privately owned and family run international travel group. Our philosophy is simple – to create enriching experiences for our travelers by combining an unbeatable mix of exceptional service and quality at great value. No matter what your taste, whether you are a family or a couple, a group or traveling solo – TTC offers something for everyone. Our multi-award-winning portfolio ranges from luxury hotels and boutique river cruises, to independent holiday package companies and a variety of guided travel experiences. For more information about TTC, visit www.ttc.com.